Here comes Iron Man 3. You’re ready. You’ve been primed, having enjoyed Iron Man and Iron Man 2, almost entirely on the back of Robert Downy Jr.’s performance as Tony Stark (and if you don’t think that’s why, tell me the plot of Iron Man 2). You loved The Avengers, particularly Tony Stark’s zingers, as delivered by Robert Downey Jr. Indeed, we all know, the reason the Iron Man franchise is better than the others all comes down to the casting: it’s Downey’s show, all the way. 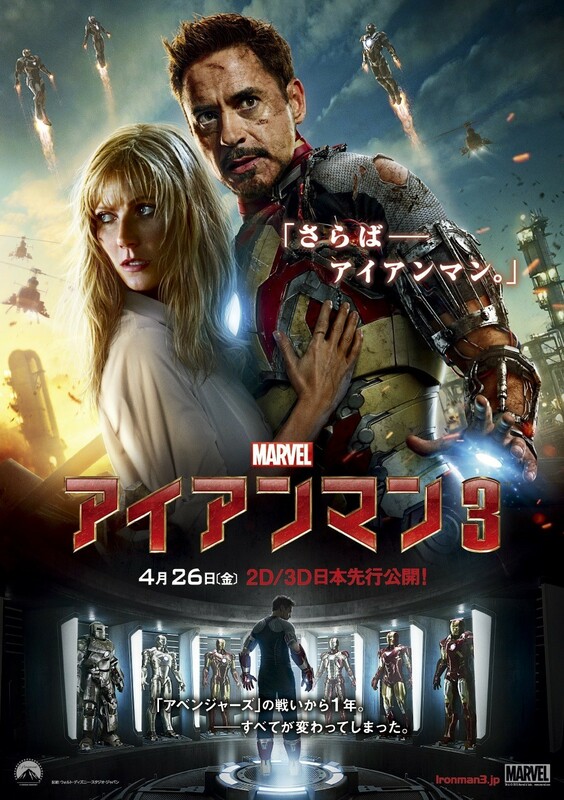 A shame, then, that Iron Man 3 only seemingly capitalizes on its main… capital. Thanks to Shane Black’s script, Stark gets a bunch of zingers, but they’re not as sharp as those of the other three flicks in which Stark’s been allowed to quip. Gweneth Paltrow, who plays love interest Pepper Potts (and in a much bigger showing here) said in an interview I heard recently (with Simon Mayo) that Downey improvised hugely in the first two films but stuck more to the script here. They should have let him flow. Obviously, Marvel Studios wasn’t just hiring the actor, but the improvising writer within him, and Stark is simply not as fun this time around, glued to a script that insists on some form, rather than free-form. The Iron Man franchise now resembles the first trilogy of Star Wars flicks: the first was a revelation, the second was actually better, and the third was just a little tired. 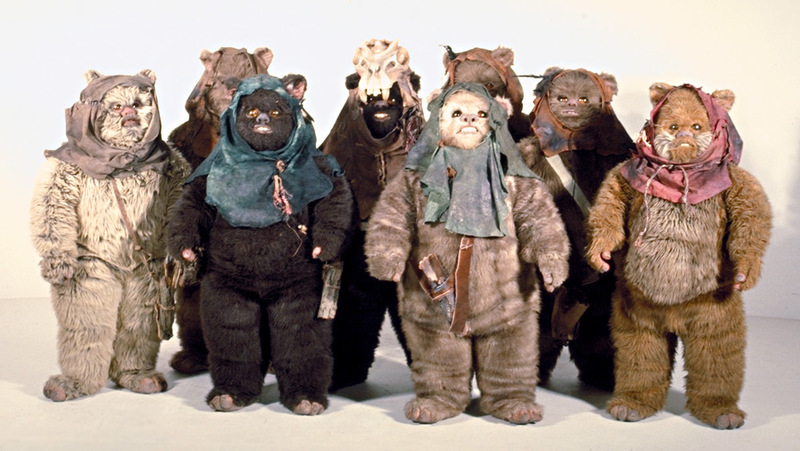 And had Ewoks. Certain lackluster choices make one scratch the old head: with the entire universe of possibility, and decades and decades worth of comics to mine, why have Tony’s other home ruined (after the decorative deconstruction toward the end of The Avengers); why confine the villain structure to the by-now-clichéd “in the third installment, you get TWO villains!” model (in this case, portrayed by Ben Kingsley and Guy Pearce, both very at ease, and very adept, at this sort of thing by now). Why even have the thing come down to classic displays of physical power, of a fight? We like Tony Stark because of his wit and intelligence, and there is no reason this character could not have been taken in a James Bond / Jason Bourne-like direction, where his brain ultimately (not just in the creation of the Iron Suits) is much more intrinsic to his heroism than his metallic brawn. It’s not just the lines, it’s the delivery of them, that aren’t quite up to the sharpness of the first two films. I get a sense Downey, who has become a gazillionaire thanks to this series, has grown bored with the sheer infrastructure of such a role, where your job is to be in at least eighty percent of the scenes and sequences, which means almost untold stretches of waiting around until everything’s finally ready for you. Downey famously declared once this franchise hired him that he was “never going back” – ie to small, independent films. I really suspect he’ll break that assertion. An actor’s got to act, after all, and the Iron Man franchise has now become exactly the same, to him, as the Iron Suit is to Tony Stark: a heavy burden, denying him the nimble movement he once enjoyed. So recommend or not recommend? In my opinion, it is very different from the other two and better than the second one. It has a kind of spy plot, rather than the typical superhero story, and also a politics metaphor can be found there… and also, it has some big surprises. So it is interesting to find all these in a very entertaining summer blockbuster. I recommend it and hope you enjoy it as much as I did. John, it’s an interesting thing with ROTTEN TOMATOES – and the reason more films are “FRESH” than “ROTTEN”. IRON MAN 3 isn’t very “fresh”, but it’s definitely NOT “rotten”. I give everything I give 2 and a half stars or more to, “fresh”. “Rotten” is such a strong word! In relation specifically to IRON MAN 3 — basically, it’s unnecessary and you’ve been there before, twice. But it’s well made (of course), there are some laughs and a lot of action and you’ve got all those fun actors. So I recommend it if you really really love superhero movies but don’t if you don’t. Awesome thanks for responding, I’m gonna check it out on Friday!